Borderline Personality Disorder is manifested largely through the defense mechanism of splitting. 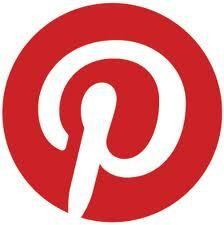 Splitting is vacillating between the extremes of idealization and devaluation. What results from the negative half of splitting, from devaluation, is projection and lack of trust. A.J. Mahari, author, speaker, mental health and life coach, in a video, talks about how the negative thinking experienced in the devaluing half of borderline splitting obliterates idealization and produces a marked shift in the mood and behaviour of the borderline. People with Borderline Personality Disorder experience victimization that they think is coming from others that is really projected out on to others from what is the borderline lack of self. It is from this devaluation and projection that people with BPD experience what they perceive to be abandonment and betrayal that warrants or supports what is their own lack of trust to begin with. Lacking a stable sense of identity or known sense of self people with Borderline Personality Disorder also lack trust. It isn't possible to have trust or extend trust to others that one does not even have for one's "self". The borderline's experience of vacillating between extremes of idealization and devaluation only serves to highlight their abandonment fears, distrust, and their negative experience of others and of self through others. Those with BPD then experience the very negative devaluation projected out in the form of blame and judgment as being done to them, as coming at them from the person or people that they projected onto in the first place. This sets up a cycle of perceived victimization that mirrors unresolved victimization from the borderline's past. It is a recipe for triggering the distress of dysregulated emotions in a high percentage of the efforts of those with BPD to relate to others. knows what they did or didn't do or say. The reality that people with BPD project out triggered dysregulated emotions onto others, attribute their own feelings, thoughts, devaluation and judgment to "other" and then feel "other" is victimizing them originates with the borderline's inability to hold their own distressing feelings. This cycle of projection also has its roots in the borderline's repetition compulsions wherein the other person is often lost in the "here and now". To the person with BPD "now" fades into a time from the past and the person on whom he or she is projecting is no longer visible or seen for who he or she is but rather becomes a person from the borderline's past with whom there was significant trauma, abandonment, and/or relational rupture with. People with Borderline Personality Disorder cannot trust others because they do not have a known sense of self of stable identity from which to trust themselves. The less a person with BPD is able to trust him or herself to cope with distress and dysregulated emotion that they do not have the skills to soothe, the more he or she will project onto those around them these intolerable feelings. © A.J. Mahari, June 19, 2009 - All rights reserved. A.J. 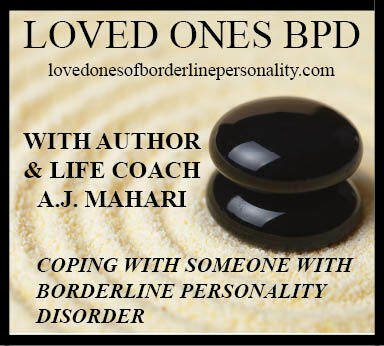 Mahari is a Life Coachwho, among other things, specializes in working with those with BPD and non borderlines. A.J. has 6 years experience as a Life Coach and has coached hundreds of clients from all over the world.